Welcome to another round of "what I want but cannot have just yet so I will yearn for it from afar." I'm your host, the girl who just spent half her life savings on a trip to London. If you're a skincare enthusiast like me, you've probably heard of Sunday Riley's Good Genes. If you're a young person trying to somehow make it in this rotating ball of water in space, you probably haven't bought it considering it's $105 for 30ml of product. I know this is a My Closet etc piece, but I just want like fifty of these rings ok? They're so unique and I love them but I have to share with you guys since I've already bought three lol. I'm obsessed. These Miu Miu heels are the price of one month's rent for a studio apartment in Atlanta. And my heart is being pulled to them. SOS. 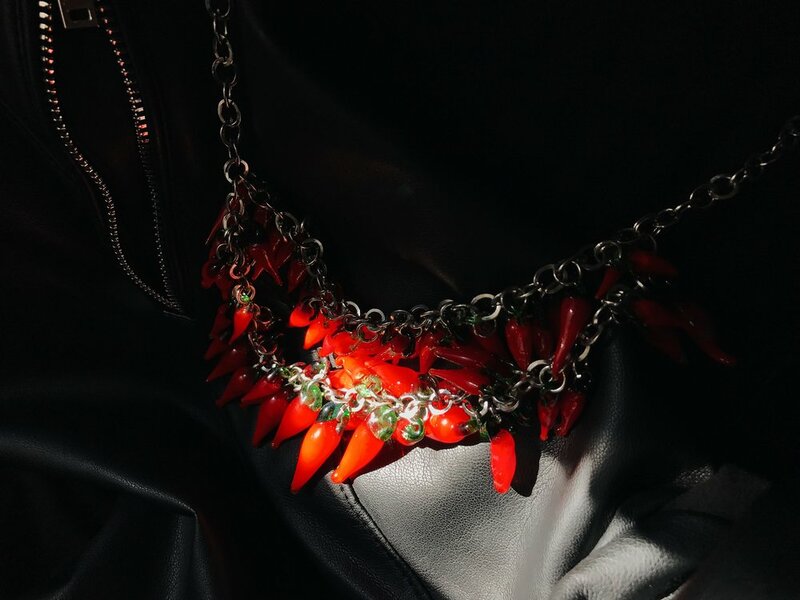 I recently posted this chili necklace I found vintage shopping in London and my dms got a bit full with things like "tell me where you got it or I'll steal it off your neck" so I found another option and they look almost identical!! So here you go, violent stylish instagrammers. There you are, my five picks for this week. Are you adding any of these things to your cart? If you are, message me and I'll send you my venmo. Help a girl out.